Former Wallaby captain Nathan Sharpe is now general manager of SES Labour Solutions and needs to hire hundreds of workers. Photo: Tara Croser. MORE than 350 workers will be hired at a new coal mine in Central Queensland in the latest sign of a resurgence in the state's resources sector. Fitzroy Australia Resources is gearing up to recruit the workers for its Ironbark No 1 coking coal mine 35km northeast of Moranbah. Queensland's surging coal and LNG sectors will fuel record Australian resource and energy export earnings this financial year. Coal, both coking used to make steel and thermal used to generate electricity, is expected to overtake iron ore as Australia's largest resource and energy export. Fitzroy is partnering with employment company SES Labour Solutions to recruit and train the workers for the mine, which is the first development from a suite of assets acquired from Brazilian mining giant Vale in 2016. Fitzroy also purchased the neighbouring Carborough Downs mine and Broadlea project from Vale. 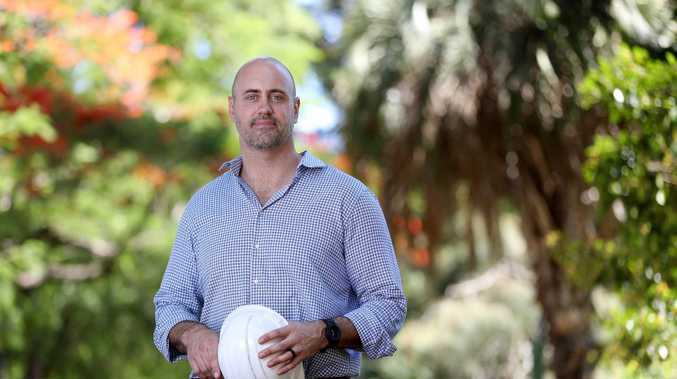 Fitzroy chief executive Grant Polwarth said the partnership with SES would help "de-risk" the development of Ironbark No 1, which will share major infrastructure with Carborough. Operations at the underground greenfield mine, which will be able to produce six million tonnes of coal a year, is expected to start in the first quarter of 2020. It is expected to provide opportunities for 160 contractors in the production phase and up to 350 operational staff. "Employing some 350 new Fitzroy personnel is very exciting for our business and the region, and it comes with both great opportunity and challenges," Mr Polwarth said. SES Labour Solutions executive general manager Nathan Sharpe said recruitment for the new roles will begin at end of this year, with half of the workers to be new to the industry. "Because this is a new mine, this is an opportunity to build a culture from the ground up," said Mr Sharpe, a former Wallaby captain. "There has been a certain amount of automation in underground mining, but workers need to have team working skills as they have to rely on each other in what can be a dangerous environment." Mr Sharpe said Queensland's resources sector was experiencing a buoyant period helped by solid commodity prices. "Most of the major commodities are priced at a good level, and resources companies are investing in assets that they were not previously looking at mining," he said. "They can now plan for the future."